Today we will discuss a couple of questions involving rigid body rotation. The first question may appear to be familiar to you as it has appeared in various entrance exam question papers. The second one is not so common but you must certainly work it out yourself before going through the solution given here. (1) A thin straight uniform rod AB (Fig.) 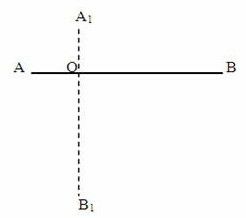 of length L and mass M, held vertically with the end A on horizontal floor, is released from rest and is allowed to fall. 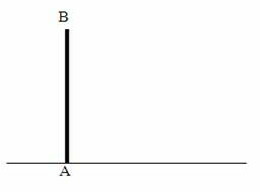 Assuming that the end A (of the rod) on the floor does not slip, what will be the linear velocity of the end B when it strikes the floor? where I is the moment of inertia of the rod about a normal axis passing through its end and ω is the angular velocity of the rod when it strikes the floor. It’s time to apply for AIEEE 2012. Applications for the examination are to be submitted online only, from 15-11-2011 to 31-12-2011. 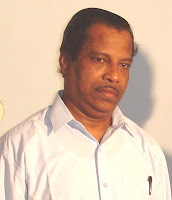 You will find many old AIEEE questions (with solution) on this blog. You can access all of them by trying a search for ‘AIEEE’ making use of the search box on this page or by clicking on the label ‘AIEEE’ below this post. Make use of the ‘older posts’ button to navigate through older posts related to AIEEE.